After a weekend of frantic negotiation in Brussels earlier this month, British Prime Minister David Cameron made a press statement stating the terms of the ‘Brexit deal’- and it effectively sounded like a victory speech. After months of negotiation, and more significantly, due to Britain’s outsized diplomatic clout, Mr. Cameron got almost all he had gone to Brussels for. Assurances on a common EU services market, a seven year brake on benefits to EU migrants, and child benefit payments indexed to the cost of living of the home countries of the workers, were all significant victories. The front page of Italian daily La Republica that day read – “...Cameron can celebrate because he can now take home a ‘yes’ to most of the requests he made”. However, I would argue that the cost was too high - that it is the sheer perceived totality of his victory that would prove to be detrimental to the EU’s global standing. 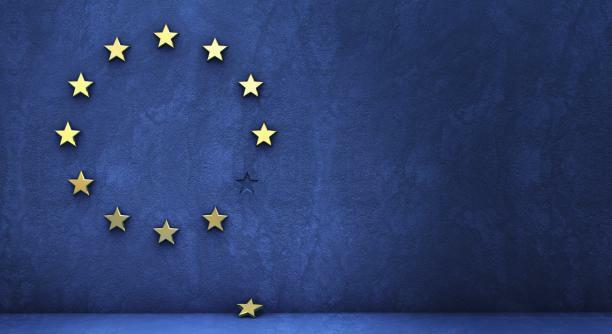 In recent years, the European Union’s image has certainly taken a beating. Once admired as a daring political experiment, the EU used to be known for leading the fight against global challenges like poverty and climate change. Now, however, it seems to be swamped with seemingly insurmountable challenges. The threat of an increasingly aggressive Russia, a loss in global competitiveness, and most importantly, a rapidly aging population, combined with a large period of low economic growth of member countries are leading to the erosion of its leadership position in the global community. If current trends continue, the average European will be fifty years old before 2050. Tellingly, America has been pivoting towards Asia and the Pacific in recent years. Moreover, the continent has also been seeing resurgence in Identity politics (although the meteoric rise of Mr. Trump seems to indicate that this isn’t necessarily just a European phenomenon). Mainstream parties are increasingly being rejected by voters fed up of economic stagnation, and the radical alternatives they are opting for, from the far left Syriza party in Greece to the far right National Front in France have one thing in common – they all blame the European Union for their troubles. And the Cameron deal may have added fuel to the fire. The French daily ‘Le Monde’ already bemoaned the formation of an ‘A la carte’ Europe on its front page on the day of the deal. In a separate section, it called the deal ‘a gift to Eurosceptic parties everywhere’. Certainly, the spectacle of bigger countries like Britain picking and choosing the parts of Europe they like may fuel disillusionment in Europeans, especially in countries suffering from economic malaise and unemployment like Spain and Italy. My argument that Jean Claude Juncker would have done the Union a much greater service by taking a tougher stance against Cameron, stems from analysis of several aspects pertaining to the issue. Firstly, despite opinion polls showing a narrow difference, Britain exiting the European Union was just never a realistic outcome. The Telegraph recently aggregated six different opinion polls carried out over the last year, and the In campaign carried out a comfortable ten point lead over the Out campaign. And to be fair, the In campaign hasn’t really started yet, which means that Eurosceptics have monopolized public attention until now. As the debate really starts playing out now, and as the In campaign starts making its points in earnest, its almost certain that the polls shall widen even further. The concessions to Mr. Cameron were given away with the justification that unless he received them, he would ask the British electorate to leave the EU. I, however, believe that Mr Cameron would have campaigned to stay in the Union, irrespective of the kind of deal he got. Scotland has increasingly indicated that it would prefer staying in the Union if Britain chose to exit, and a Britain out of the EU and without Scotland is certainly not a legacy Mr. Cameron would want for himself. Another reason why I believe that Mr. Juncker would have been justified in taking a tougher stance is simple – Britain needs EU much more than the EU needs Britain. To start with, many people worry that with Britain out, Europe will increasingly become a Franco-German (but mostly German) affair. But to a large extent, this transformation has already taken place. In spite of being a big lender to Greece, Britain mostly sat on the sidelines when the Greek Bailout deal was being negotiated (with Germany, of course taking the lead, albeit reluctantly). In the recent migrant crisis, it is once again Germany which is setting an example for fellow Euro zone members by keeping its borders open (although not many countries seem ready to follow its lead just yet). Although the subject of German hegemony still makes people uncomfortable, the way Germany has handled the migrant crisis certainly seems to indicate that maybe a Europe with Germany as the dominant voice would a more agreeable scenario, given Germany’s vested interest in maintaining the single market. Another worry voiced by people is that given Russia’s recent revanchist foreign policy, the EU might need Britain’s navy and military prowess. And that is certainly true to an extent. This year, however, the White House agreed to quadruple the Pentagon’s military spending in Europe, suggesting that an aggressive Russia is something that America would never stand, even as its foreign policy is veering towards isolationism in almost all other parts of the world. So America (and NATO) could always be counted upon for protecting the sanctity of European Security. One of the main factors driving the formation of the European Union was that countries understood that being part of the EU would enable them to have a greater say in matters of the world, a privilege they would not have enjoyed had they chosen to stay independent. This is why countries like Belgium and Greece and Spain agreed to join the EU. The spectacle of UK picking and choosing the choicest bits of European Integration, and at the same time, letting its service sector take advantage of the European Market may lead to a fair bit of disillusionment with the European project, and concomitant losing of hard won ground. For the UK however, the European single market is absolutely essential. Margaret Thatcher understood the benefits that such a market would hold for Britain’s service sector (which dominates Britain’s economy, contributing about 78% to its GDP). Which is why, despite having certain Eurosceptic tendencies, she pushed for Britain’s integration with the union. Germany, on the other hand, under WTO rules, faces very few restrictions either ways in selling its goods in England. Due to these factors, I fear that Mr. Juncker may have failed to take advantage of the strong hand dealt to him. A tough, no compromise stance against Mr. Cameron would certainly have ruffled a few feathers, but it would have gone a long way towards assuring the citizens of its countries (of which France, Portugal and Ireland hold elections within the next year), that no special treatment is provided to any member country; that all countries have an equal stake in the Union. This would have gone a long way towards curbing nationalist politics across the continent, and as a result, would have led to the strengthening of EU’s union. And a stronger Union would have directly translated to an increase in the European Union’s global standing. Now, however, it seems to be stuck with a permanently carping member, and it had to exempt Britain from its “ever closer union”. I do concede that a Brexit would surely have dealt a psychological blow on the EU’s member countries, and in all likelihood, would have led to a mild economic recession for a while. But a Britain inside the EU doesn’t seem to be doing it any good either. Rethinking Education: Is MOOC the Future of Higher Education? Big Data – What’s the big deal?